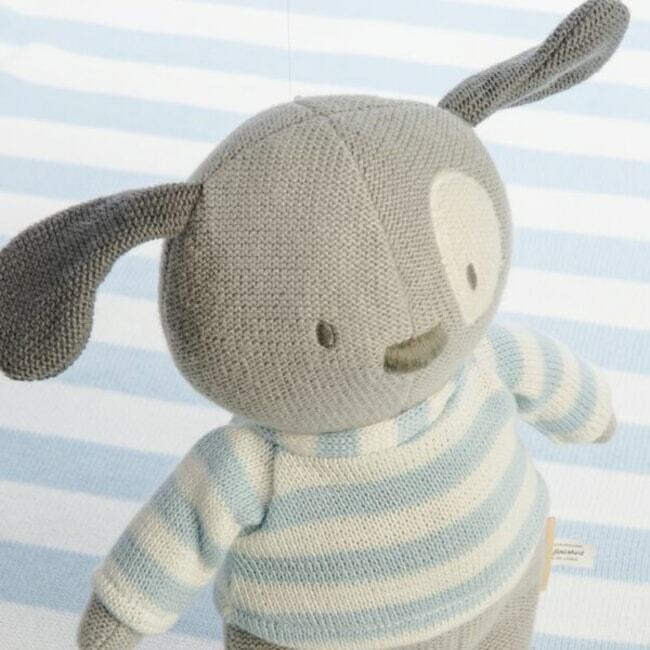 Delightful puppy knitted in a soft blue/grey colour, with a cream patch over one eye and contrasting grey floppy ears. Wearing his own little cream and pale blue stripy jumper that can be removed. 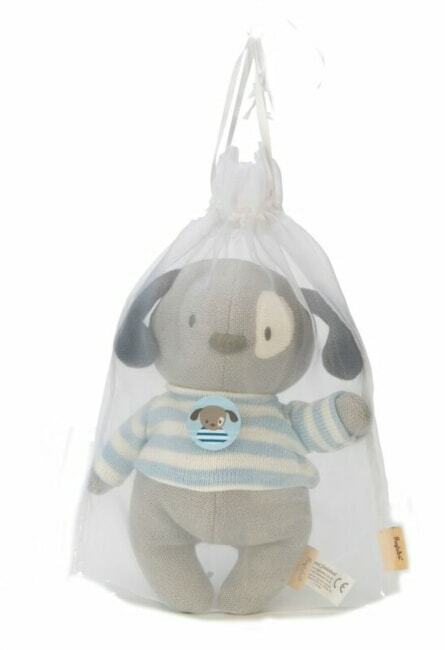 He is the perfect new baby gift complete in his own drawstring bag. Why not add the matching blanket?